There is currently a crisis unfolding in the open source world, with a number of companies changing their licensing to protect revenue. This has arisen due to a potentially toxic situation where public cloud providers have introduced managed services based on free open source products. Is blockchain really going to be the new database? In this e-guide, read about how blockchain's inherent security makes it a key player in the future of tech yet is still susceptible to spammers and phishers. 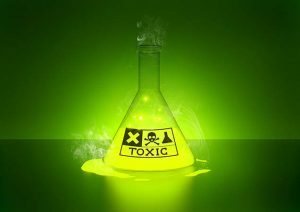 Is AWS toxic to open source? OSS software providers generally commercialise their offerings by developing value-added services, additional enterprise-grade products and support. This is the kind of model adopted by NoSQL database provider, MongoDB. It can reap the rewards of developing the open source NoSQL database as and when commercial customers pay for this enterprise features. This funding is essential in open source software because it helps smaller open source companies continue to invest develop time on open source products. However, if a public cloud provider offers its own managed service, that funding quickly diminishes. In October 2018, MongoDB introduced a so-called server-side public licence, which effectively curbs the ability of public cloud providers to build their own commercial services based on the free, open source technology. So has AWS decided to pay for this licence? It seems it may have not. AWS recently introduced DocumentDB, a managed NoSQL database service compatible with MongoDB 3.6. While this is not the latest release, AWS now has a rival cloud-hosted NoSQL product. From a customer perspective, AWS can offer unmatched scale and resiliency across multiple availability zones. Clearly there are many organisations that have built MongoDB systems on-premise, and many use cases where on-premise makes sense. But managed cloud services. represent the path enterprise IT is taking. MongoDB even offers its own, called MongoDB Atlas, available on the AWS marketplace. But it would appear that AWS has allowed an open source project to thrive and built business offerings around that product. But when the licensing for that product changed, AWS introduced a rival compatible offering. It may well make commercial sense. But morally, is this right approach a company with such a dominant position in the public cloud market should willingly take? The internet would not exist without open source software. By adding popular and innovative open source projects to their platforms, public cloud provider lower the technical barriers for enterprises to adopt new technologies. But unless there is a viable way to fund innovative open source companies, public cloud companies like AWS will eventually kill off open source innovation.